Over the years, Jaguar, a British car company, has made many iconic cars. Many of the models belong to the top segment and are not only fast but also quite stylish. That is why people often want to repair glass damage quickly. However, a rear window replacement of your Jaguar may be costly. Many people do not know that this can also be done at a more attractive price. This can be done, for example, by opting for after market car windows. When the repairing the car window is no longer an option, you can replace the Jaguar rear window at a competitive price. We will tell you more about this car brand and the different possibilities to replace the rear window of a Jaguar. started the company Swallow Sidecar Company. This company produced sidecars for motorcycles and made other minor modifications to these vehicles. In 1934 William Lyons bought out his namesake and the company then continued under the name S.S. Cars Limited. As the name suggests, a different direction was chosen. From that time on, the company started producing cars. The name Jaguar appears for the first time in the history books in 1935. A model from S.S. Cars Limited of that year is called the Jaguar 100. As is understandable, the name S.S. was adapted after the Second World War. The shareholders agreed to a change to the Jaguar name. Although many parts and materials were in short supply in those early post-war years, Jaguar's performance was reasonably good. The market that the company still focuses on was already found: the richer upper layer that does not want the extremely expensive, but luxurious sports cars. This niche market continued to be interested in Jaguar's models so that the company could continue to exist and even grow in the post-war years. to merge. Together, the companies then formed British Motor Holdings Limited. In 1968, this new company was forced by the British government to take over the Leyland Motor Corporation. However, this cooperation was too great for the board of directors to manage properly. Various brands suffered heavy losses. Jaguar, Mini and Rover, among others, were therefore separated from the company again in the 1980s. It is no coincidence that this coincides with a large wave of privatisations in England and Great Britain. Many state-owned companies regained their independence during this period. In 1984, Jaguar regained independence, although this was only for a short period of time. together with Aston Martin, Volvo and, since 2000, Land Rover. Ford's more expensive models were bundled together, but with only minimal success. Indeed, under Ford's leadership, Jaguar did not make a profit for a single year. bought from Ford car brands Jaguar, Land Rover, Rover, Lanchester and Daimler for more than 1.7 billion euros. 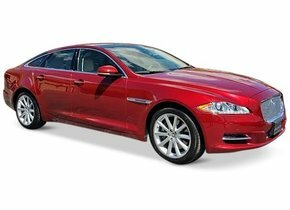 Under Tata, Jaguar's sales figures are again excellent. 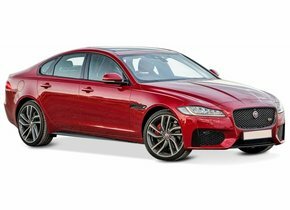 Several new models, such as the Jaguar XJ, the Jaguar X-Type and the Jaguar F-Pace and E-Pace, are increasingly being seen. 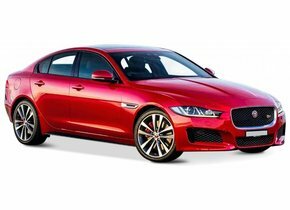 It is therefore possible that one of these Jaguar models may have caused you car damage. You may then need the rear window replacement of your Jaguar, for example. When do you need to replace the rear window of the Jaguar? Unlike the windscreen, the rear window replacement of a Jaguar is almost always required when there is damage. The windscreen is made of laminated glass and can therefore contain an asterisk that still needs to be repaired. The rear and side windows of a car are almost always made of tempered glass. If you get damage to this, the entire car window will immediately be missing. This is because these car windows are under high tension due to the production method in which they are heated quickly and cooled down quickly. When there is a hard impact on the car window, it will burst into thousands of small pieces. Although safer for the occupants, Jaguar's rear window replacement is quickly required in the event of vehicle damage. So if you have a missing rear window due to an accident or vandalism, for example, the rear window of your Jaguar needs to be replaced as soon as possible. Replacing your Jaguar rear window will be quite expensive at an authorized dealer. This is because brand dealers have a monopoly on selling items, such as automotove glass, with a brand logo. Competitors are not allowed to sell these products and, as a result, there is no need for brand dealers to charge lower prices. 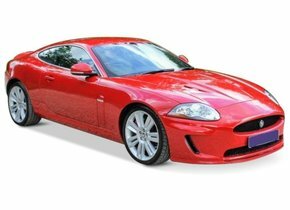 The rear window replacement of your Jaguar costs a lot more at a brand dealer than is actually needed, given the labour and production costs of automotive glass. This is different if you choose after market automotive glass that you can order here. Replacing the Jaguar rear window with this high-quality glass saves a lot of money. This is because these after market car windows do not have a brand logo and can therefore also be sold by non-brand dealers. However, these car windows come from exactly the same factory and of course meet the highest quality requirements. 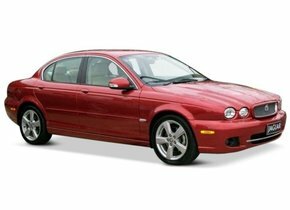 The only difference is the lower price, which makes it much more convenient to replace the rear window of the Jaguar. Do you want to do the rear window replacement of the Jaguar yourself? Simply order the automotive glass and related products you need and do the repair yourself. If you do not have this knowledge in-house, then our very experienced partners will be at your service, who will even replace your car window on site. Fortunately, if you have suffered glass damage, it does not have to cost the main price. Choose the best value for money and order directly at Autoglas Concurrent.